While most cities opt for the cake tribute, Chicago styles a full pizza pie for its Stanley Cup heroes. 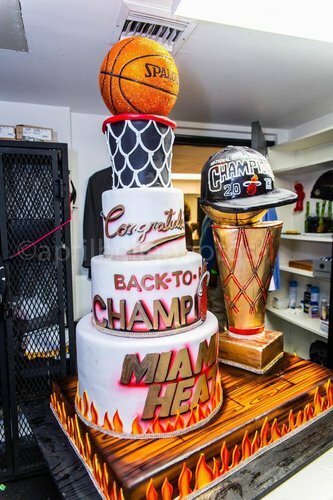 Last week, Divine Delicacies, Miami’s premium luxury bakery, introduce their lavishly bedazzled Miami Heat Championship Cake. 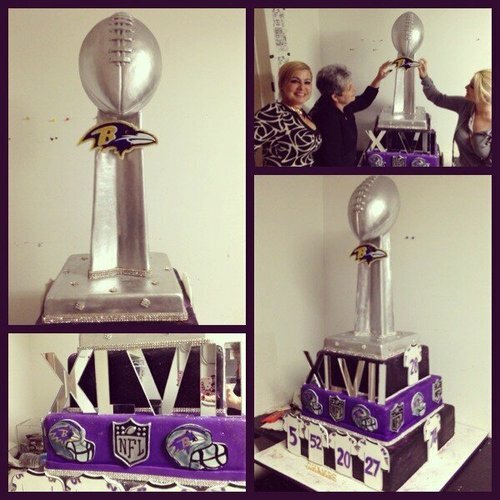 So it’s only fitting that the newly crowd Stanley Cup winner, the Chicago Blackhawks, receive a championship-inspired food trophy as well. 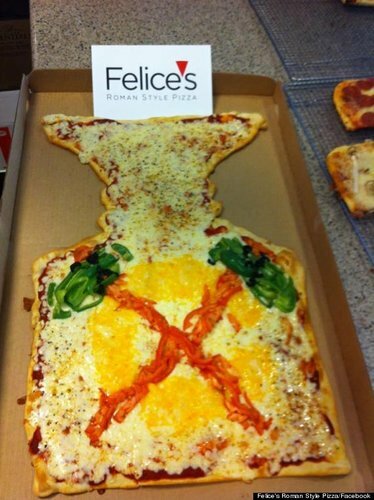 Felice’s Roman Style Pizza, a Loyola University student-operated pizzeria, dedicated a large, graphic, Stanley Cup-shaped pizza to its city’s hockey team. The pizza is adorned with green peppers, olives, tomato, and cheddar cheese to complete a full “C” in the middle of the pie. According to Felice’s Facebook page, the celebratory pie is available for pick up for only $20, but be sure to order at least 15 minutes in advanced, this pizza takes time. 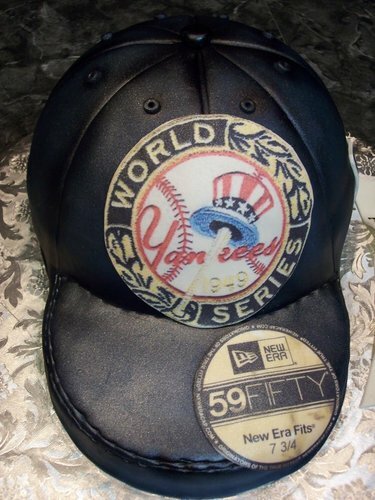 Most cities just opt for a classic celebratory cake, so this full, orderable pizza is truly an innovative tribute to the Chi-Town Champs. Click through the gallery above for more celebratory food tributes.